Police have begun an investigation after several birds of prey, including a hen harrier, were found poisoned at a hunting ground in Friesland. Next to the birds of prey were a dead pigeon and wigeon which were probably used as bait, police said in a statement. One hunter from the village of Ferwerderadiel is now under investigation. Police found a dead duck, possibly poisoned, in his car as well as a type of lead bird shot which has been banned. Poison and more illegal ammunition was found during a search of his home, police said. The man will now be questioned and should be considered a formal suspect. 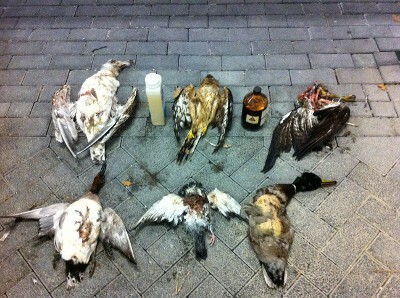 The birds and the bottles of poison have been sent to forensic experts to be examined.